This fall, we're proud to count two Berrett-Koehler authors among this year's midterm election winners. Congratulations to Krysten Sinema, author of Unite and Conquer!, on winning the state senate seat in Arizona! And congratulations to Chris Rabb, author of Invisible Capital, on his re-election to the Pennsylvania House of Representatives! If that weren't enough, Ed and Peter Schein's recent blockbuster release Humble Leadership was named one of Strategy + Business' Best Business Books of 2018, earning the top spot in the management category. Impressed? So are we! Read on for our bestsellers in the month of October. 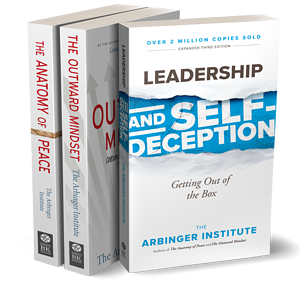 It comes as no surprise that Leadership and Self-Deception, along with the rest of The Arbinger Institute suite, continues to top our bestseller list. Evidenced by the millions of readers around the world, Leadership and Self-Deception, The Outward Mindset, and The Anatomy of Peace have long proven their groundbreaking impact. Released in its third edition in September, Leadership and Self-Deception has sold nearly 2 million copies in 33 languages worldwide. All books available on Audible! As 2018 winds down, you might already be thinking about how to get more done in 2019. 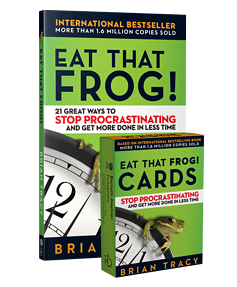 Hailed as the go-to guide on time management, Brian Tracy's Eat That Frog! is your ticket to a more productive future. Tracy explains how we often mistake working hard for working smart. Instead of urging readers to work harder, he shows how working smarter enables you to get more done in less time by focusing on three key principles: decision, discipline, and determination. Eat That Frog! is available in multiple interactive formats, including a card deck, workbook, video training, and audiobook. 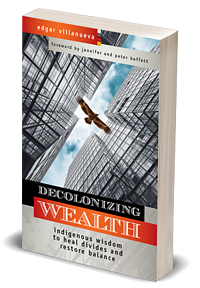 Breakout star Edgar Villanueva pulls no punches in his new book Decolonizing Wealth. In this radical critique of the philanthropy sector's colonial roots, Villanueva shows how funders reflect and perpetuate the same underlying dynamics that divide Us from Them and the haves from have-nots. To heal this harmful divide, he draws from the traditions from the Native way, prescribing medicine for restoring balance. Recent features of Villanueva's work in Colorlines and Bright Magazine highlight the conversations that are happening among writers, activists, philanthropists to bring much-needed change to the philanthropic sector. Parker Palmer’s writings on teaching, education, leadership, and service have garnered a following of hundreds of thousands of people around the world. 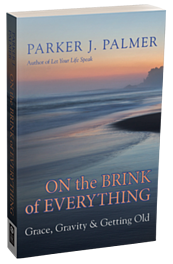 In his latest book, On the Brink of Everything, Palmer reflects on the trials and tribulations endured over eight decades of life as “a passage of discovery and engagement.” This profound work of honesty, poetry, and a transcendent view of what it means to navigate life with grace and gravity resonates with everyone regardless of profession, age, location, or outlook. Today's teams want more alignment among their members, better decision-making processes, and a greater sense of ownership over their work. But many struggle to put the necessary practices into place. In their new book, David and Mary Sherwin show that this can be easy, even fun, if you have the right rituals. Rituals give teams the ability to create a collective point of view and reshape the processes that affect their day-to-day work. 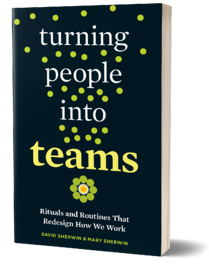 In Turning People into Teams, you'll find dozens of practical rituals for finding a common purpose at the beginning of a project, getting unstuck when you hit bottlenecks or brick walls, and wrapping things up when the project is done. To be an effective leader, you need to know your strengths—but that’s just step one. Using the third-generation DiSC® online personality assessment, The 8 Dimensions of Leadership helps you identify your primary leadership dimension, as well as lessons you can draw from other leadership styles. Whether you are a Pioneering, Energizing, Affirming, Inclusive, Humble, Deliberate, Resolute, or Commanding leader, the authors help you understand the psychological drivers, motivations, and “blind spots” characteristic of your style. 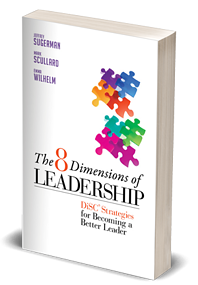 The authors also detail the lessons you can learn from other leadership dimensions, enabling you to craft a multidimensional approach to becoming the leader you aspire to be. 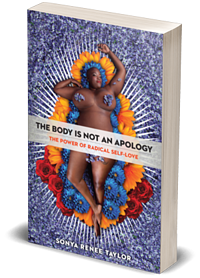 The Body Is Not an Apology is more than a book or practice—it's a growing global movement of radical self-love, undoing systems of oppression, and human connection. A big hit at the recent Facing Race conference in November, this book continues to make waves since its release in early 2018. As we race toward the end of a long year, Trauma Stewardship is the warm hug we all need to keep going. 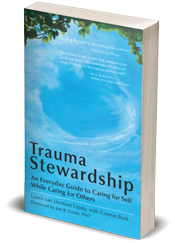 Published in 2008, Trauma Stewardship is for people who work to make the world a better place, and in doing so must constantly confront pain, suffering, crisis, and trauma head-on. Laura van Dernoot Lipsky, a pioneer in the field of trauma exposure, shows how to respond to suffering not by hardening our hearts or by internalizing others' struggles as our own, but by developing a quality of compassionate presence. 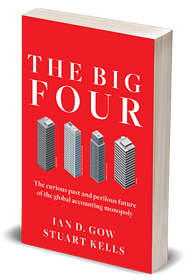 With combined revenues of over $130 billion a year, the Big Four accounting firms—Deloitte, PricewaterhouseCoopers, Ernst & Young, and KPMG—are a keystone of global commerce. But leading scholar Ian Gow and award-winning author Stuart Kells warn that a house of cards may be about to fall. Their book is essential reading for anyone perplexed or fascinated by professional services, considering working in the industry, or simply curious about the fate of the global economy. In September, The Wall Street Journal published a rave review of the book, calling it an "invaluable contribution" to "all those interested in the future of the profession—and of capitalism itself." 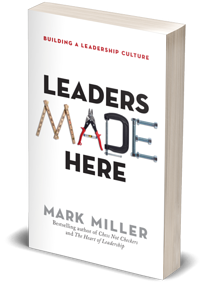 In Leaders Made Here, bestselling author and Chick-fil-A executive Mark Miller describes how to nurture leaders throughout the organization from the front lines to the executive ranks. Miller tells the story of Blake, a new CEO, and Charles, an old friend and colleague, as they search for the best practices from around the world to ensure a continuous supply of their most precious asset—leaders. Blake and his team then translate their findings into a practical plan that any organization can use to create a leadership culture, sustained competitive advantage, and long-term success.